End-Unit townhome available in Park South Station! 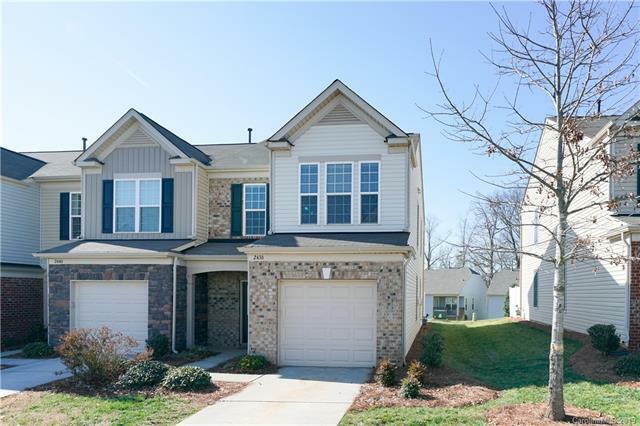 This home has been immaculately maintained and is truly move-in ready. The downstairs hosts an open concept layout, perfect for entertaining, and is complete with hardwood floors. Living room hosts gas-log fireplace. Kitchen features gorgeous granite counters and SS appliances including gas range stove. Off the kitchen is a large sliding glass door that allows in ample natural light and leads to the spacious back patio. The master bedroom has trey ceiling and walk-in closet. Master bath finished with dual sink vanity. This home is located in the gated community of Park South Station, just minutes to SouthPark, tons of shops, restaurants and parks, all with a quick commute to Uptown. The community amenities include clubhouse, pool, walking trails, dog park and access to the greenway!